(Texts extracted from “Programación y Unidades Didácticas Inglés-Primaria. Self-Learning Method”). Cooperation means working together to accomplish agreed common goals. Within cooperative tasks, individuals seek aims that are beneficial to themselves and to the group. Cooperative learning implies the instructional use of small groups, so that students work together to maximise their own potential through social interaction and use of technologies, amongst other benefits. 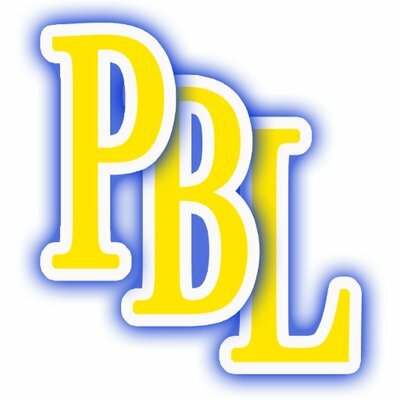 The project-based approach or project-based learning (PBL) is a prime example of active methodology in which children collaborate and learn together to come up with educative products. The active methodologies suggested in Order ECD/65/2015 bring up the role of contextualisation of learning. The strategy is seen as an attempt to facilitate the learners´ comprehension of the language. This inference of meaning is an indispensable strategy that brings about practical learning and plenty of linguistic benefits. It implies that the teacher should assume the role of “creator of learning scenarios” which engage children and create willingness to infer meaning. Libow and Stager (2013) define the term project as kind of work which is substantial, shareable, and personally meaningful. In other words, when a teacher creates a well-designed prompt that capitalises the learners´ curiosity, they can embark on complex, long-term learning adventures. A highly remarked concept by Libow and Stager is that of “shareability”. With this term they refer to the idea of producing a product that can be shared with other students, the learning community and even a much wider digital learning community. The active involvement of students in creating something “real” in a FL to be shared, presented, personalised and uploaded to a digital platform, shall foster not only real use of the FL, but also a high level of motivation and involvement on the part of the students. This concept coined by Libow and Stager refers to an interesting field in constant development, the digital world. After all, the technological revolution has already created “digital natives”; and a vast amount of possibilities for the contextualisation of learning in engaging and appealing proposals. Under the term “competency units”, this FL programming encapsulates ten didactic proposals, whose implementation intends to contribute to the learners´ communicative abilities in English, as well as their KC practical knowledge. The PBA in the units is based on the idea that students shall gain knowledge and skills by working with English in situations that result meaningful, purposeful and challenging for them; and the questions were immediate: which kind of contextualisation is appropriate for these four grade children? how can I possibly find a purpose for them to engage the FL tasks with a great deal of motivation? Most remarkably, the contextualisation in all units revolves around the eTwinning project: “Four hearts, one language”, whose main objectives have already been presented. In this learning community children share the products of their work according to common tasks, through which they shall get to know each other, learn about other children´s countries, traditions and celebrations, similarities and differences amongst cultures, etc. The real social interaction in this communicative approach to FLT is very likely to create a surge of willingness to express themselves and understand other children, since there are powerful reasons to use English: meeting new friends, discovering about where and how they live, the things they like and those preferences we share, playing together in English and exchanging learning experiences. All units start with a driving question that shall introduce children in the topic creating an interest. This shot for the start creates an initial motivation that shall be maintained with engaging shared tasks, ranging from simple to more complex and demanding. On the other hand, children are organised in heterogeneous groups for each term. In these “cooperative learning cells” all children keep busy and take on different roles depending on the nature of the tasks. In this working approach, children are informed at the beginning on the unit about the product or outcome they must come up with, and why it is important to get actively involved. After all, if they want to introduce themselves, talk about their daily lives or share funny learning experiences, like recording the karaoke version of a song, it has to be done in English for all partner members to understand. 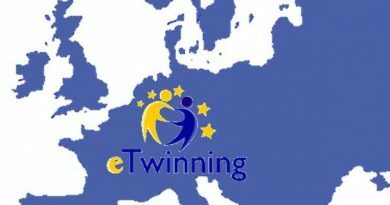 The eTwinning tasks normally entail complex procedures which need some training, rehearsal and practice. They all share in common a series of linguistic benefits directly related to the FL curriculum for Grade 4, as we shall see next. At the same time, through these integrated tasks children mobilise their intelligences and KC. The format of the units respects the curricular relations amongst contents, evaluation criteria and LS, in addition to other illustrative unit´s components like didactic objectives, evaluation, resources, transversal elements or cross-curricular links. With regards to the explanation of sessions, although I consider three basic stages: switching to English, workshop and rounding off, due to obvious reasons of space, this document resumes the learning tasks. The procedure is similar to the logical order with children: presentation of the product children are expected to achieve in the context where the language appears, to continue with a group of representative FL activities leading to that outcome. The following table provides an insight into the learning products and contexts through which children are involved in using English, and a curricular approximation to illustrate the connection. 1. Who we are. Oral presentation in groups. In this unit, children shall practise how to introduce themselves as members of their team. Their presentation is recorded and uploaded to the FL blog and the eTwinning space. Through this product children “meet” their partners from other countries. Oral presentations to give basic personal information (i.e. name, age, family, likes). Communicative functions: greetings, introductions, preferences. 2. Shall we talk? Skype conversation. Once they know a little about their new friends, it is time to greet and maintain brief conversations in groups according to previously rehearsed scrips and patterns. Oral conversation. 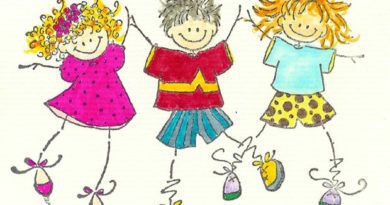 Simple questions and answers to know about the other children (i.e. do you like…? who is your favourite…?) Affirmative, negative and interrogative sentences in simple present. Expressing opinions. Hobbies, personal interests. Frequency adverbs. 3. More about us. Writing an email (group writing). Description of daily routines, school-life, spare-time activities. Through this task children learn how to write an informal email to give information. Descriptive syntactic patterns. Writing about routines, the school, favourite subjects. Reporting back the email received by the eTwinning partners. Simple present all persons. Time adverbs. 4. Got Talent! Christmas carols contest. In this unit students have the chance to change the lyrics of a carol for Christmas greetings. In groups they record their versions and listen to the ones by their partners. Christmas time, traditions and celebrations. Construction of sentences following simple patterns. Sociocultural aspects related to Christmas. The Anglo-Saxon tradition. 5. MasterChef. Recording studio. Children explain typical recipes in the region. The task is carried out with the help of parents who act as cooks whilst children describe the cooking steps and nutritional benefits. Food, healthy habits, recipes, ingredients, cooking verbs, ordering a sequence (i.e. first, next…), lexis related to properties of food, nutritional categories. 7. English cultural week. English gymkhana. The Highland Games. 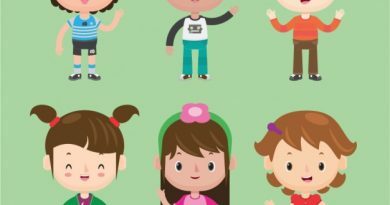 Before playing the games, students must understand the rules and explain them to their classmates Healthy lifestyle, sports, description of procedures to play a game. Making questions to ask for clarification (i.e. can I…? ), setting games norms and rules in English (modal verbs, prepositions). Sports equipment, establishing rankings (ordinal numbers). 8. Puppets show. Storytelling. Using puppets elaborated by the parents´ FL workshop, children perform a story about positive coexistence at school. Inspiration story: How Full is your Bucket? By Rath and Reckmeyer. The final performance is recorded and uploaded to the FL blog and eTwinning space. Storytelling: “How Full is your Bucket? Lexis related to emotions and feelings. Comprehension of simple narrations. Writing slogans to fill other people´s buckets with good feelings. Modals: should, shouldn´t. Verbs related to offering and asking for help, establishing initial communication, answering. 9. Planning the future. Skype conversation. Questions and answers about future plans. Children keep a conversation in groups monitored by the teacher. They make and answer questions with their eTwinning partners and about current summer activities description. Time expressions. The future, “going to”. Summer activities. Vacation plans. Questions and answers (i.e. what are you going to do during the summer? I´m going to…), expressions of favourites. Locations, places, landscapes (i.e. the beach, the mountains, the city…), preferences. 10. The project highlights! Writing an email. It is time to say goodbye to our eTwinning partners. Children send an email with text and photos of common tasks carried out and shared along the year. Writing an informal email to say goodbye. Describing actions in the past (i.e. we went to the theatre…), expressing good wishes, courtesy conventions. Libow, S and Stager, G “Invent to learn: making, tinkering and engineering in the classroom”. Torrance, CA: Constructing Modern Knowledge Press, 2013. REAL CONTEXTS FOR ENGLISH TEACHING AT THE CLICK OF A MOUSE. THE ROLE OF THE CONTEXT IN FLT.